(CBS/AP) WASHINGTON - A New York congressman almost received a grisly package on Monday. 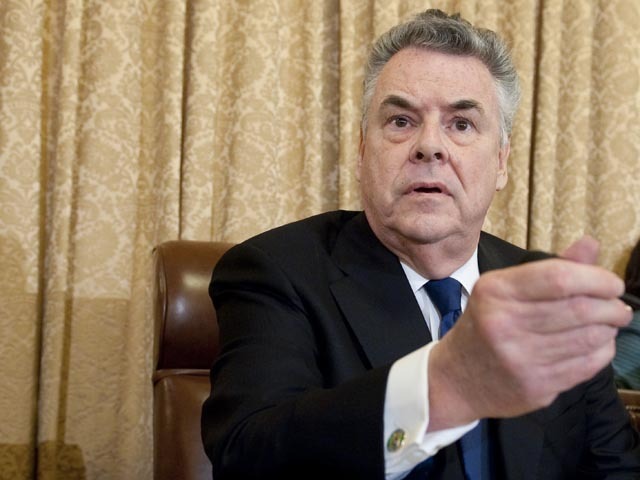 Authorities intercepted a bloody pig's foot and a note containing derogatory and anti-Semitic references headed to Peter King's (R-N.Y.) Washington, D.C. office. The congressman, who is Catholic, recently held hearings on the topic of Islamic radicalization in his position as chair of the House Homeland Security panel. Critics say the hearings unfairly targeted Muslims. A Capitol Hill source told NBC News that the note sent to King contained references to the radicalization hearings. However, the identity and political affiliation of the sender are still unclear. Ibrahim Hooper, National Communications Director for the Council on American-Islamic Relations and one of King's targets in the hearings, found the situation somewhat backward. The Islamic organization often receives swine-themed anti-Muslim hate mail, including bacon-smeared letters, reports CBS News. Muslims are forbidden from eating pork by the Qur'an. "My guess is it was an anti-Muslim bigot, and bigots not being brain surgeons they probably got their signals crossed," Hooper said. The package never reached King, but was intercepted at the Congressional mail facility in Landover, Md., according to CBS News. Mail sent to lawmakers is screened there for security risks. The gruesome present intended for King was tested and declared non-hazardous.